This project was done for a customer who wanted an antique wine press restored. The cast iron was badly rusted and most of the wood was falling apart. 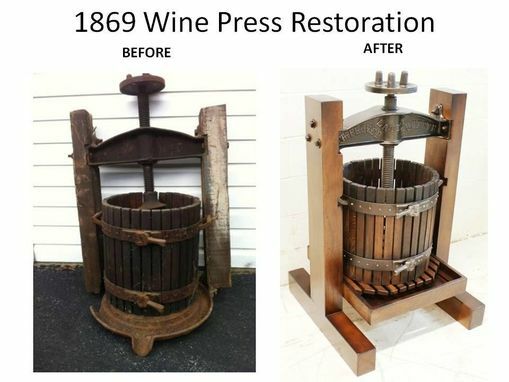 First we removed the rust from the cast iron, then we used white oak and huckleberry to restore the support beams, wine catcher, and press. We matched the color to the grape basket which remained in usable condition. The restoration was based after a picture the customer supplied.